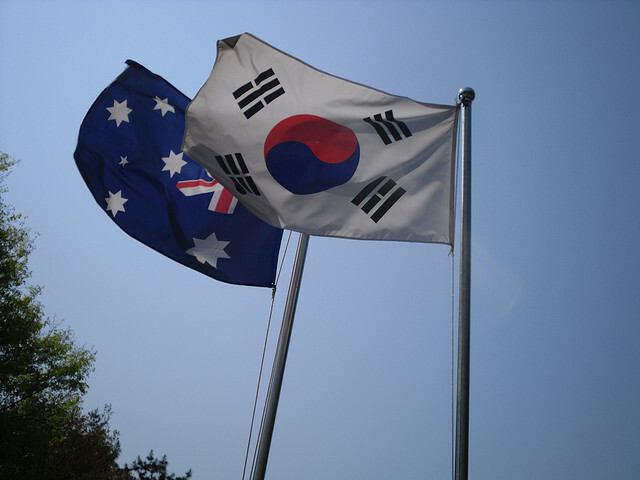 Australian exporters will have something extra to look forward to in the New Year as the second of the two tariff cuts negotiated in the historic Australia-Korea free trade agreement will come into force on the 1st of January. The first tariff cut, which kicked in on the 12th of December, along with the second cut, which is due in two weeks’ time, will see agricultural, resource and industrial sectors benefit from the deal while services and manufacturing will also enjoy greater market access. The agreement envisages elimination and reduction of tariffs in several goods, including beef, wine dairy products, pharmaceuticals & vitamins and car engines & gearboxes. Under the terms and conditions of the FTA with Australia’s fourth-largest trading partner, tariffs will be eliminated on 84% of Korea’s imports from Australia immediately. According to The Australian, on full implementation, 99.8% of Australian exports will enter Korea duty free. The FTA anticipates a $653 million a year boost for the economy, with agricultural exports also seen to rise by 73% by 2030, compared to projections of a 29% decline in the absence of the deal. However, the agreement also includes controversial Investor-State Dispute Settlement provision, which gives foreign investors the right to sue the Australian Government.